With one click, P.I.G. Batch will replace those ugly preview images with consistent & clear images for your entire library! It will even regenerate the preview image every time you save your families so you literally never have to worry again. Just install the app and let P.I.G. do its job! Options to hide connectors, host elements, reference planes and much more! Enable Preview Visibility, gradient backgrounds and anti-aliasing for every preview automatically. Option to export high resolution images alongside the .RFA for indexing by other library management tools. Your settings are automatically synchronized with your cloud account. [NEW] Customize view scales by category so line weights show accurately. P.I.G. is available as a yearly subscription service. This ensures that you always receive the latest features and compatibility with the latest version of Revit. Two weeks prior to your automatic renewal, you will receive an email notification and you will have the opportunity to cancel. Default view scales can now be set using default settings or by category. 2D Categories are now represented in a tab of their own - making the processing differences more apparent. P.I.G. is now digitally signed. Bug fixes and subtle UI improvements are also included. Easy to use, with great results. I recently rolled out Revit 2019 in our firm. In the process of upgrading and setting up all content, I have been using the P.I.G a lot. it’s a pleasure to work with it. Even the out-of-the-box Autodesk content is not set up with any consistency. I have been using this software to have it all show up in a standardized format in our content sharing platform. Saving a lot of days of work ! With this application I have been able to process thousands of families and the improvement of productivity and quality of the projects that are modeled increases considerably. 100% Recommended to process large number of families. Technical support is great with an answer in less than 24 hours. This add-in helped us to generate a preview image on thousands of our families, allowing us to apply consistency to our office library. The ability to export high quality images of the previews has also helped us to review the content easily. I would highly recommend this add-in!! Best Plugin Value Out There! Having a preview image not present on about half our families has been a consistent user complaint. 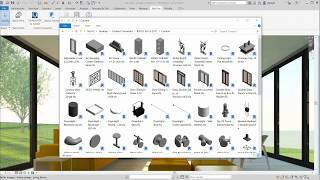 Within about an hour, I had finished processing our entire family library for Revit 2018. The previews now have a consistent look, they all have a preview image and the users are happy. This will save them time and avoid requiring them to open a family to see it. About the best bang for your buck to keep BIM users happy in your company. P.I.G. makes it super easy to create clean and consistent preview images. I love that it works automatically to create the preview images for me. It made our content browser a thing of beauty which helps people find what they need. Excellent value! Needs to be in your Revit collection of Add-ins! Add-in pays for itself in the first use, the batch process is amazingly fast and gets your entire library of previews cleaned up and standardized for visual appearance. But then it saves previews automatically to my synced standards every time a family is edited and closed. Simple and effective interface and settings that sync to all versions of Revit. Very Nice! I work with BIM Implementation and during our workings we need to create several families. Although I already use a good workflow when setting preview images, this plug-in makes it much easier! I loved it. What are your standards - Visual Style is important. Point of Departure for Revit & BIM is standards. A requirement for both is consistency. Now this add-in does just that, just simply. Gets views matching visual style and detail level, all by category. The batch process is done over lunch; anyone looking into the library later will see exactly what they need. Consistently!